We will be showcasing the new Mobilis BC1500 navigation buoy and a selection of high quality LED navigation lights on stand PY69 at this year’s Seawork International. 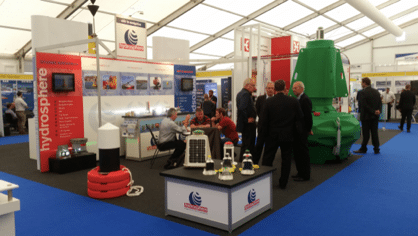 Exhibiting for the 21st year, Hydrosphere will be representing some of the world’s leading manufacturers in navigation buoys and lights from Mobilis, Sabik, Carmanah, Vega and Ekta. We supplies marine navigation buoys and lights, data buoy platforms, mooring and zone marking buoys to most major ports and harbours, lighthouse authorities, offshore and aquaculture sites across the UK and Ireland. We’ll be exhibiting on stand PY69 at Seawork International in Southampton. Contact us on +44 (0)1420 520374 or sales@hydrosphere.co.uk to arrange a meeting at the show.